Pennsylvania Contractors Insurance.com - Free PA contractor insurance quotes online. We will save money on your Pennsylvania Contractor's General Liability Insurance. 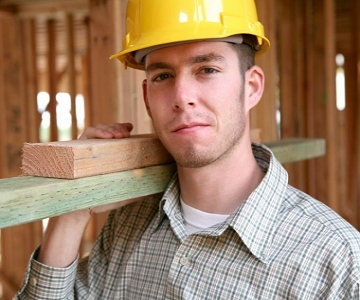 We Shop Your Contractor Insurance So YOU SAVE! Help Register Your Business with the State of PA! Call Us For an IMMEDIATE Pennsylvania Contractor Quote! CONTRACTOR LIABILITY - We shop the MAJOR Pennsylvania Insurance Carriers so you get the best pricing. We can issue your Certificate of Insurance the SAME DAY! We specialize in Contractor's Workers Comp Insurance, and whether you have 1 employee or 100, we often save our clients up to 38%, and by correcting misclassifications, even more! 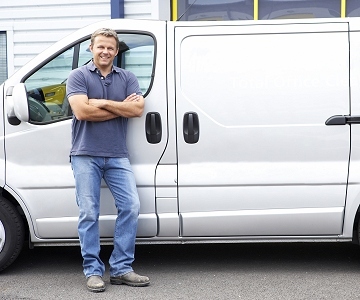 Contractors have special Commercial Vehicle insurance needs. We represent companies that aggressively market this coverage, and we shop these markets to get you super-competitive prices. To Get A Free Quote, Complete Form Below. Takes Only 2 Minutes! Contractor Liability Workers Comp Commercial Vehicle Other/More - Tell Me What I Need! Help Stop Spam! Enter Code in Empty Box at Left. Here's What Imperial Agency Does for Contractors! We can Help You Register Your Business with the State of PA! We Also have policies with up to $5 Million Coverage! We Can Write your Commercial Umbrella Insurance Too! We Can Insure Your Commercial Auto & Trucks! We are the PA Small Contractor Headquarters! Complete our simple contractor quote form at right, and we will usually deliver your contractor quote the very same day! Not only that, we can also place coverage the same day, so you can get your certificate of insurance, and start working. We Are The Imperial Agency! WHAT OUR CURRENT CLIENTS ARE SAYING ABOUT IMPERIAL INSURANCE AGENCY! IMMEDIATE COVERAGE FOR A NEW VENTURE! ONLY $650 FOR A WHOLE YEAR OF COVERAGE! Let The Imperial Agency Help You! We specialize in Pennsyvania Insurance at the Imperial Agency. Representing the leading carriers in Pennsylvania allows us to reduce your insurance costs, and our agency can deliver discounts up to 15% or more, in most cases. Beyond that, we issue policies SAME DAY quoted in most cases!